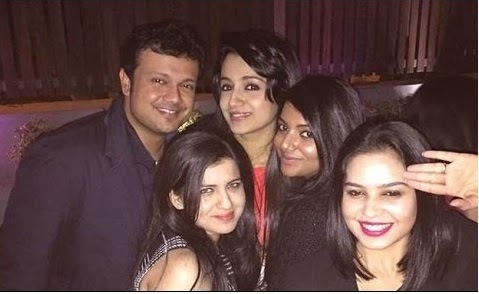 Trisha to Marry Varun on March 2015 ? Actress Trisha going to make the headlines again with her marriage news! Her friend and businessman Varun Maniyan, is having a production company Radiance Media Group in which he produced 'Vaayai Moodi Pesavum' and 'Kaaviya Thalaivan'. The buzz was, the gorgeous actress and her friend got engaged during November 2014 and somehow they both denied the engagement news as rumors through social media. But now its going to be clear cut that these cute couple is ready to tie their knot on March 2015.